My name is Simone and I am a master student in communication and media management at Hochschule Karlsruhe. 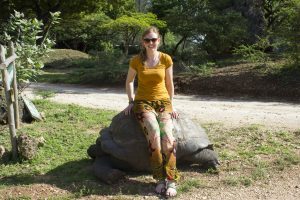 As part of my master thesis and voluntary work I spent 5 weeks in Kenya between April and May 2017. In the framework of the Empowering Young Women and Girls Project I worked together with the organisation Uwezo Development Initiative, who brought the project into life, as well as our partners at Pwani university in Kilifi. Besides the project, I engaged in a Kindergarden in Mnarani where I assisted teaching English and Maths for 5 – 7 year old children. For me it was a very enriching experience, an amazing time and I am very grateful to be part of this project. Through this blog I would like to give all readers insights into my experiences. In this way I hope to raise interest in learning more about the project and the Kenyan culture. I am open and looking forward to any comments, feedback or questions concerning my stay, the project or this blog.